We’ve helped hundreds of colleges and universities with their implementations of Banner® including related products such as Workflow, Degree Works™, CAPP, Document Management, and Luminis®. We can help you with Banner® consulting or upgrades to Banner® 9. SIG's Back to Basics (B2B) is an efficient solution that is typically completed in two weeks for all major functional areas in Banner®. The onsite workshop creates a shared understanding of current state, and identifies gaps, challenges, and opportunities. B2B helps the institution to obtain consensus on a vision for future state of Banner®, prioritizes the work and develops a realistic improvement plan to move forward. Wondering whether you are getting the most from Banner®? You might be experiencing overly-complex processes or a proliferation of shadow systems. Perhaps your team hasn't been attending Ellucian Live, or you recently lost staff and are left with knowledge gaps. Or maybe you haven’t implemented new functionality for Banner® and Degree WorksTM. Targeted Assessment Services – A detailed review of specific Banner® systems/modules as well as associated software products such as Degree Works™, Luminis®, and others. System Assessment Services – A Banner® application suite assessment that encompasses all systems and modules. Each system/module is reviewed to identify how Banner® functionality can be maximized. Post-Implementation Review Services – After your Banner® enterprise resource planning (ERP) implementation, we can provide a post-implementation review to determine what is needed to fine-tune performance. The way your institution conducts business may have changed significantly since your implementation. If you’re looking to implement Banner® for the first time, you could achieve dramatic organizational change. We provide implementation/re-implementation consulting services to assist your institution in making a truly transformational change with your implementation project. Each new release of Banner® can increase the complexity of the Oracle® environment for Banner® in areas such as: questions about configuration, system security, new features and functionality, and performance considerations. We will help you with Oracle® DBA services, system administration, and install and update third-party applications. DBA Assistance - We can assist your DBA on a day-to-day basis, provide training and technical assistance, or augment your staff. Dedicated DBA Services - We can be your alternative to hiring expensive Oracle® technical resources. Backup DBA Support - “Life line” support available when your primary DBA is unavailable or when projects require more Oracle™ resources. Focusing on obtaining the level of BI maturity appropriate for your institution’s strategic goals, our BI methodology transforms your current goals into measurable and achievable milestones that leave opportunity for future development. 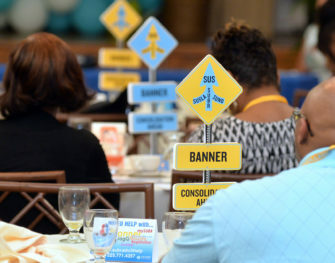 We have supplemented BI best practices to make the most use of Banner®. Are you thinking about the future of your ERP solution and planning for the Banner® 9 environment? Do you require assistance in understanding implementation options based upon your institutions current Banner® 8 environment? 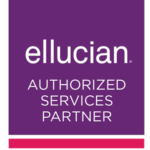 We offer a session that can assist you in creating a comprehensive plan by assessing your current Ellucian environment, including hardware, software versions, infrastructure, licensing, and staff knowledge and skillsets.